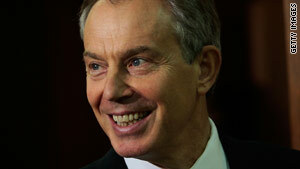 Tony Blair will give evidence, publicly, in the New Year at yet another inquiry into the Iraq war. Robin Oakley asks: Was Blair, as his critics have long maintained, just using the WMDs issue as camouflage? And would he won parliamentary vote to go to war in Iraq on basis of regime change alone? London, England (CNN) -- By confessing that he would still have joined the U.S.-led invasion of Iraq even if he had known Saddam Hussein had no weapons of mass destruction former British Prime Minister Tony Blair has whooshed himself straight back into the headlines. In the lead-up to the war Blair and his ministers used to agree that the ousting of the Iraqi dictator would be a welcome by-product of any military action. But they were not, they used to insist, in the business of regime change for its own sake. Their imperative was the removal of the weapons of mass destruction that they believed Saddam Hussein to be concealing and which they claimed (in what became known as the "dodgy dossier") he could unleash at 45 minutes' notice. But following Blair's remarks in a BBC interview two key questions arise. Was Blair, as his critics have long maintained, just using the WMDs issue as camouflage, having privately assured George W. Bush he would back him in a war anyway? Secondly, if he had gone to the British House of Commons to ask for support for the war on the basis only of regime change -- not the threat of WMDs -- would he have been able to win the war vote? The current British Defense Minister Bob Ainsworth, at the time a Labour Party whip involved in organizing voting lobby support, has admitted to surprise at Blair's statement and acknowledged it is an open question whether the vote could have been won. Others have greeted the former PM's remarks with a sharper response. Former chief U.N. weapons inspector Hans Blix, whose efforts were curtailed by the military timetable, says Blair has left a strong impression of a "lack of sincerity." Blix suggests that the WMDs were, for Blair, a "convenient justification." If he had not secured that fig leaf, says Blix, Blair would have searched for another. The most stinging attack has come from a former senior public servant. Ken Macdonald, the former Director of Public Prosecutions in the UK, has written an article in the London Times accusing Blair of sycophancy to President Bush's power: "Washington turned his head and he couldn't resist the stage or the glamour it gave him." Macdonald dismisses Blair's oft-repeated line that "I only did what I thought was right" and that he understands the views of his critics but had to make the decision he did as "a narcissist's defense." John Chilcot's inquiry into the prelude to and the preparations for war will call Blair himself to give evidence, publicly, in the New Year. But the inquiry will not announce its findings before the British general election expected by May 2010 at the latest. The inquiry has been taking evidence so far from ambassadors and senior civil servants and military and intelligence figures. The former head of the Defence Intelligence Committee, John Scarlett testified that there was "no conscious intention" to manipulate information about Iraq's weaponry. But he did concede it should have been more specific about the now-discredited claim on 45-minute delivery. (That only applied to battlefield weapons, not ballistic missiles). Jeremy Greenstock, former UK Ambassador at the U.N., who admitted he came close to resignation over the war, agreed the war was legal but said it was of "questionable legitimacy" because of the lack of U.N. and public support. Military figures criticized the lack of preparedness, especially by the U.S., for the post-war stage. Perhaps the most damaging testimony for Blair, who has been dogged by claims he was "George Bush's poodle" over Iraq, was that from the UK's former ambassador in Washington, Christopher Meyer. He told the inquiry Blair suddenly began using the term "regime change" in April 2002 following a private meeting with Bush at his ranch in Crawford, Texas. Blair's former foreign affairs adviser David Manning has also testified that Blair was willing to back Bush on regime change, though he had urged him to secure U.N. support for that objective. Whether Blair and the Labour government now led by Gordon Brown are being seriously damaged by the inquiry is in rather more doubt. There have already been four major inquiries into the war and the intelligence gathering which preceded it and Blair himself has already been forced out of Downing Street sooner than he would have wished as a consequence of his involvement with George W. Bush. Journalists, academics and politicians will never lose their taste for re-hashing the events that led up to the war. But the evidence suggests that Joe Public no longer has quite the same fascination. Currently British voters are showing much more concern with events in Afghanistan, where 100 British troops have died this year compared to the 179 who lost their lives in the entire Iraq war.